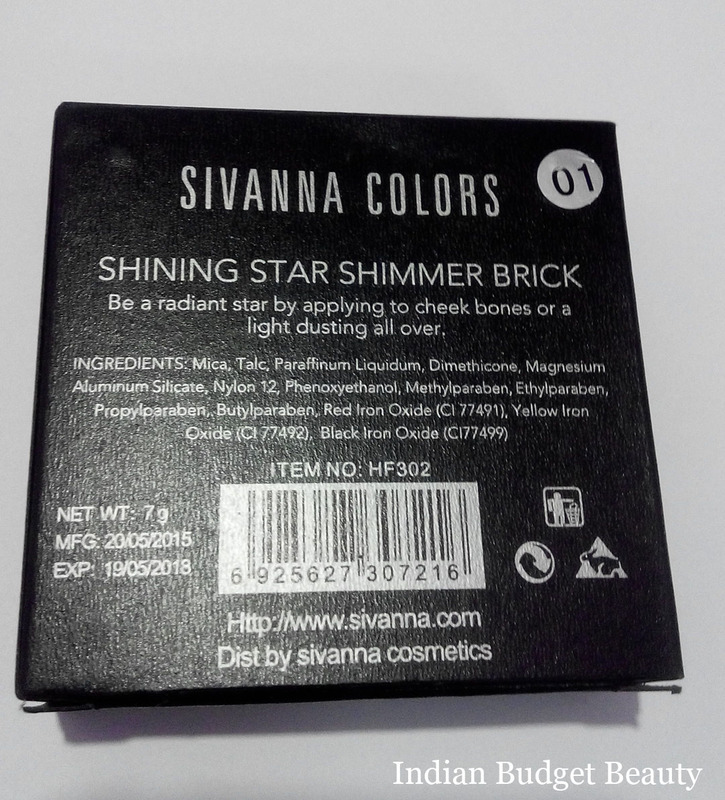 Today, I'll review on the SIVANNA COLORS Shining Star Shimmer Bricks. 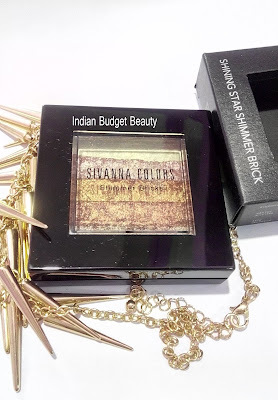 Its a highlighter kit by SIVANNA COLORS. 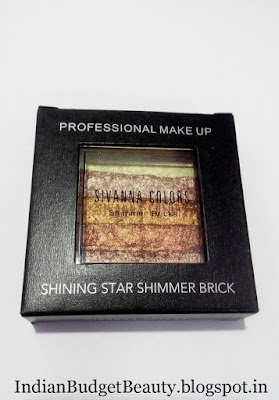 Here we get five shimmer strips or bricks which are of different colors. I got the shade no.1 which has a whitish color, followed by a rose gold color and then followed by three different gradients of bronze. 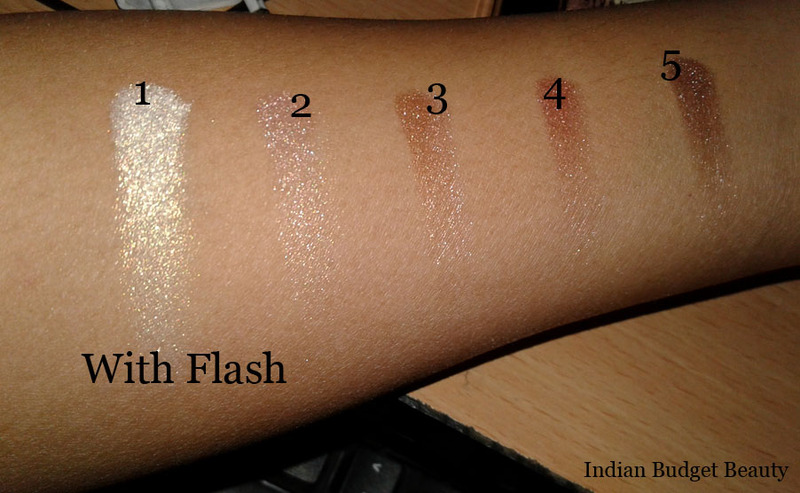 This highlighter can also be used as a bronzer. 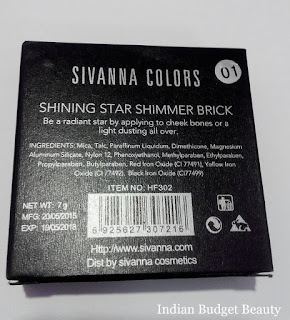 Sivanna Colors is a Thai drugstore brand. Their products mainly consist of dupes of high-end drugstore brands. This is a highlighter palette and the pigmentation is quite good, in fact, it's great. 1: This is a shiny beige-whitish highlighter which has golden reflects in it. 2: This is a rose gold colored highlighter. 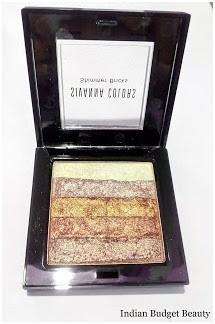 3: This is a golden bronzy colored highlighter. 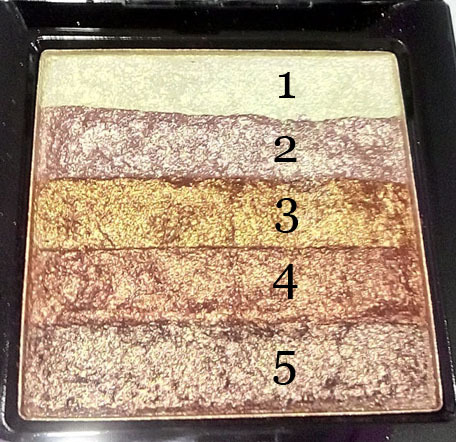 5: This is a dark brown chocolate colored highlighter. 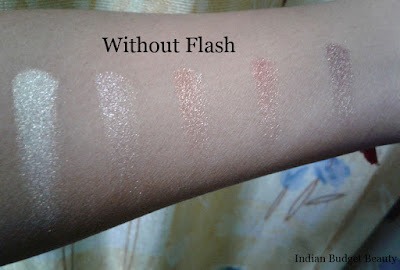 Has multiple uses, can be worn as a bronzer, highlighter and even as eye shadow. Great product at only 300 bucks. The plastic cover is great as well. Comes in a plastic case with a black cardboard cover. Is available in 4 different shades.